When it comes to picking the newest show to binge-watch, everyone has their type; some prefer historical dramas filled with elaborate costumes, others political shows featuring complicated power struggles, while others still like the simple, sheer terror of zombies. No matter what your preference is, the show must have a few things: an intriguing plotline and eye-catching scenery. “Kingdom,” an original Korean Netflix series, has it all! The first ever zombie-themed historical Korean drama, it quickly rose to popularity for its unique take on what could be considered a “dated” theme. The story centers on the Crown Prince (actor Ju Ji-hoon) as he races to uncover the cause of a mysterious plague besetting the kingdom. All the while, he must do his best to stay out of the hands of the Royal Investigation Bureau who are hunting him down for treason. Follow his journey from splendid rooms within the royal palace to the squalled huts of a rural village and everywhere in between! 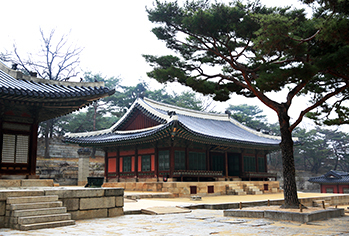 Changdeokgung Palace was fittingly used as the main filming site for “Kingdom.” Among the various drama scenes that took place within the palace, perhaps the two most memorable locations were Gwallamjeong Pavilion overlooking Aeryeonji Pond, and Injeongjeon Hall. Gwallamjeong Pavilion is one of a kind, with a shape designed to resemble a fully opened fan. 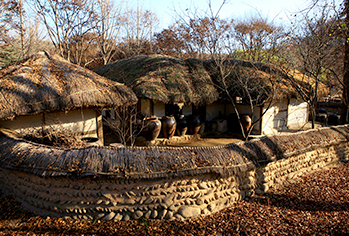 Access is restricted because of its cultural value, but visitors can see it by joining the Huwon Garden tour. 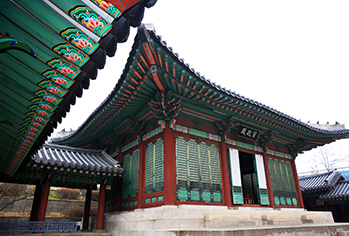 In the drama, Gwallamjeong Pavilion is where the Queen Consort (actress Kim Hye-jun) confronts her father, Cho Hak-ju (actor Ryu Seung-ryong), about his plans for the nation. 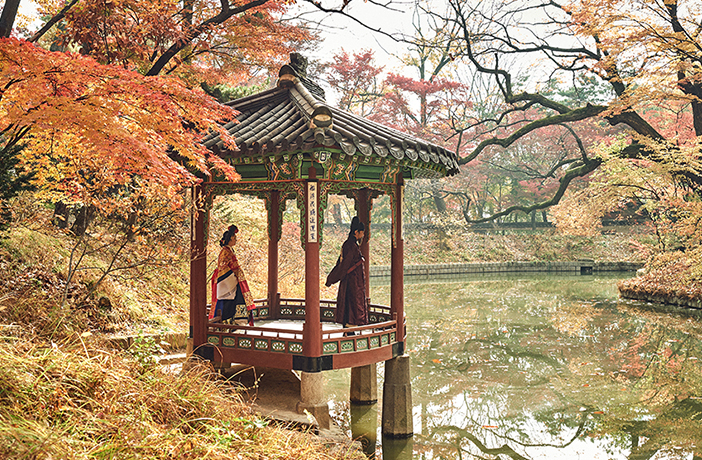 The colorfully painted pavilion and fall foliage reflect peacefully off the still waters of Aeryeonji Pond. However, the idyllic landscape hides a terrible secret, revealed in the scene of royal guards dumping a corpse into the pond in order to prevent news spreading about the horrible events taking place within the palace. Injeongjeon Hall is the main building of Changdeokgung Palace and served as the royal throne room where the king would deal with state matters. The name is an abbreviation of the meaning “spread benevolent politics,” with the aim of leading the country into prosperity. In comparison with the main halls of other palaces, Injeongjeon Hall at Changdeokgung Palace is particularly beautiful and well-preserved. 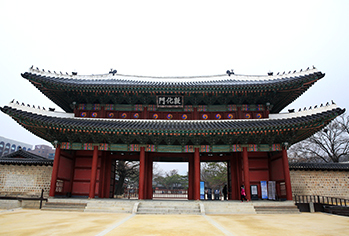 This has lead to it featuring in many historical dramas and films, including “Masquerade (2012)” and “The Throne (2015).” In “Kingdom,” Injeongjeon Hall is the location of the climactic scene where the Queen Consort appears before the court in the role of Queen Regent, giving orders in place of the King. 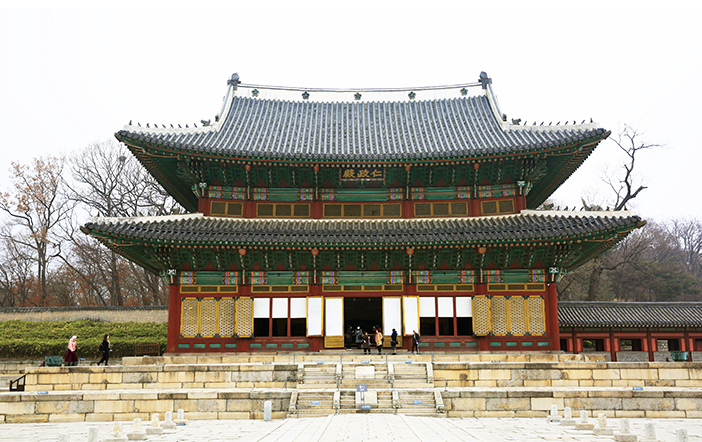 Tongmyeongjeon Hall within Changgyeonggung Palace was used as the residence of the Queen Consort in “Kingdom.” In the first episode, the Crown Prince can be seen kneeling outside the hall before meeting with the Queen to beg for permission to see his father. In reality, this hall was used as the king’s residence, as well as the venue for banquets on occasion. For this reason, the building is a bit unique in comparison with other palace residences. 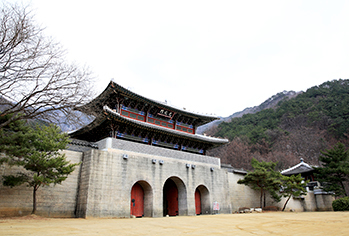 Tongmyeongjeon Hall features a rather large raised dais area at the front of the hall, perfect for placing the king above all others who attended the banquets. From an architectural standpoint, the hall is unlike any other in that it has no visible yongmaru, the ridge beam across the top of the roof. The exact reason for this is unknown but many scholars have speculated that the dragon, yong in Korean, is the symbol of the king and there is no need for two kings to reside within one building. The building next to Tongmyeongjeon Hall is Yanghwadang Hall. This building was used for meetings between the king and his queen or other royal consorts. King Injo also used the building for overseeing government matters as well. 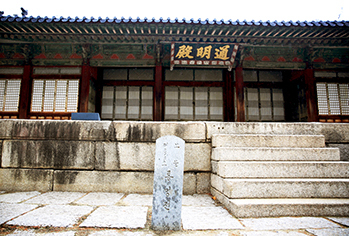 Sungjeongjeon Hall at Gyeonghuigung Palace was used as the filming site for the King’s residence, although it was introduced in the drama as Gangnyeongjeon Hall, the King’s residence at Gyeongbokgung Palace. 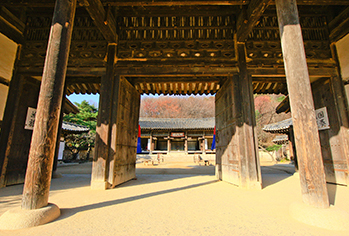 This is the location of the terrifying scene where Cho Hak-ju reveals the King’s secret to other high level officials before having one of the officials arrested for treason. In this very powerful political move, he was able to get rid of his largest adversary while also effectively scaring the others into silence. 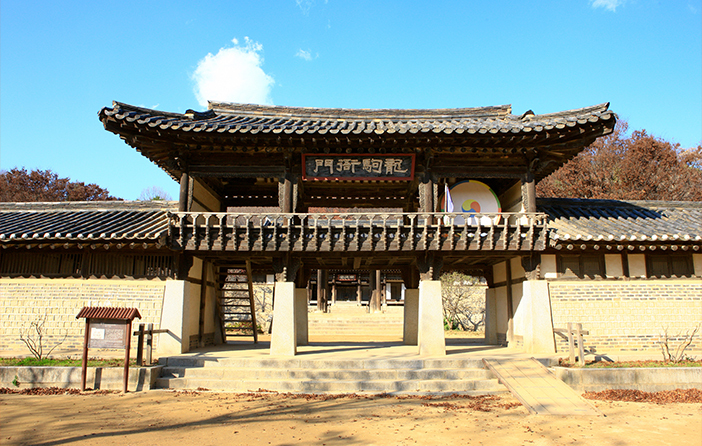 In truth, Sungjeongjeon Hall was used for more festive occasions, including the coronation of the king. 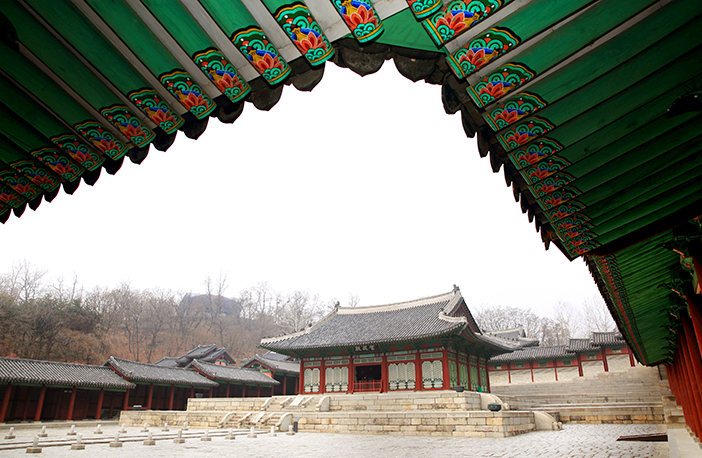 It is the largest and most beautifully decorated building within Gyeonghuigung Palace. 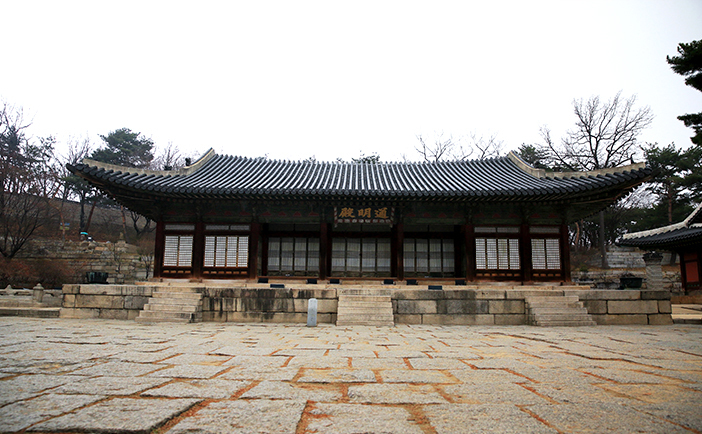 Another place of note within the palace is Jajeongjeon Hall, located behind Sungjeongjeon Hall, where the King could have private council meetings. Seoul Museum of History is just outside the palace, making a great addition to trips here. 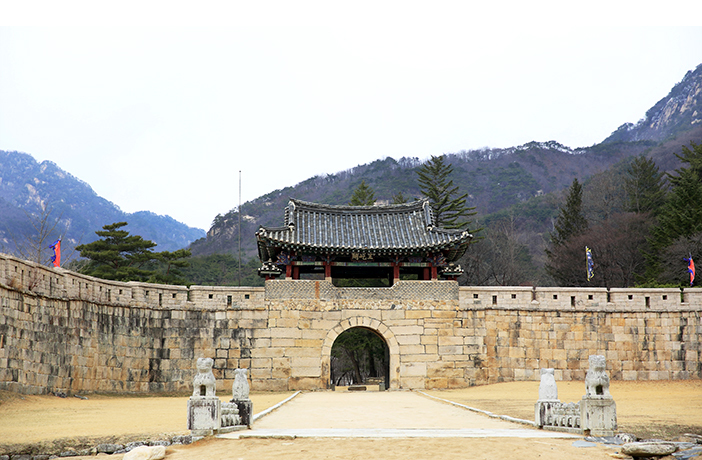 In order to stop the spread of the plague, the Queen Regent ordered the gates at Mungyeongsaejae Pass to be shut. Standing in front of Juheulgwan Gate, visitors will clearly remember the gut-wrenching scene where the people in the south realized the Five Armies were not coming to help them, but to stand against them. Mungyeongsaejae Open Set Studio, the location of many of the city scenes, is located about a 10 minute walk beyond this gate. 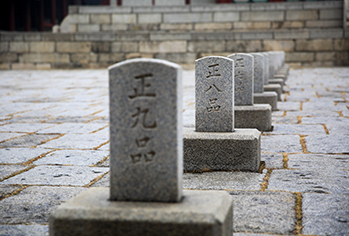 The scene of the high officials passing through Gwanghwamun Gate in order to meet with the King was filmed here. While it may have seemed like the real gate, the replica is actually scaled down about 80% in size. 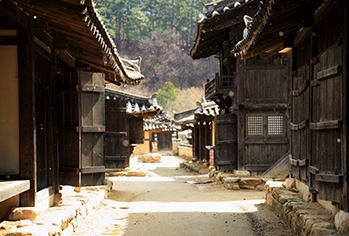 The Open Set Studio was designed for filming historical dramas and has featured in plenty, including “The Crowned Clown (2019),” “Taejo Wang Geon (2000),” and “The Slave Hunters (2010).” The set also offers hanbok experience programs. For a small fee, you too can dress as the king or queen and sit on the royal throne! Buyongdae Cliff, facing Andong’s Hahoe Village, was used for the scene of the ship carrying zombies wrecked upon the bank. It was the first business attended to by the Crown Prince’s old teacher, Lord An Hyun (actor Heo Joon-ho) after he comes down from the mountain. Despite its brief appearance, the composition of the cliff with the curve of the wide Nakdonggang River created powerful cinematography. To see the same bird’s-eye-view, head up to the top of the cliff. Who could forget the terrifying scene of the Crown Prince and his personal guard Moo-young being chased by a horde of zombies, only to be forced to jump off a small cliff into the river below. 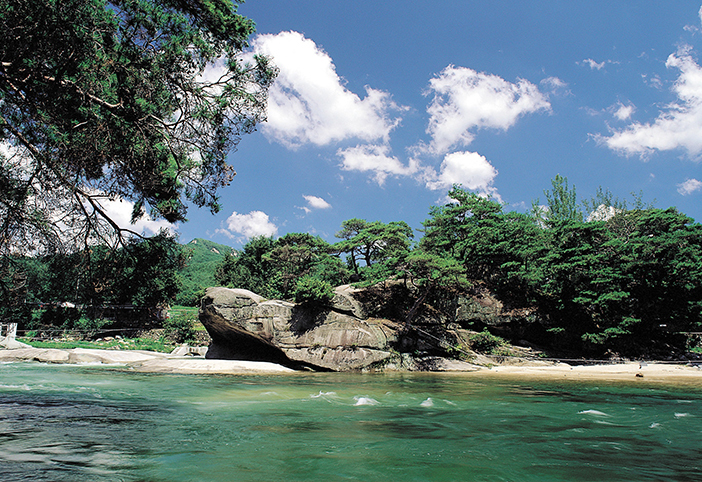 This scene took place at Suseungdae Rock in Geochang, Gyeongsangnam-do. Thankfully, the Crown Prince and his guard were able to swim to safety. It’s a shame they were too distracted by other things to notice the scenery. 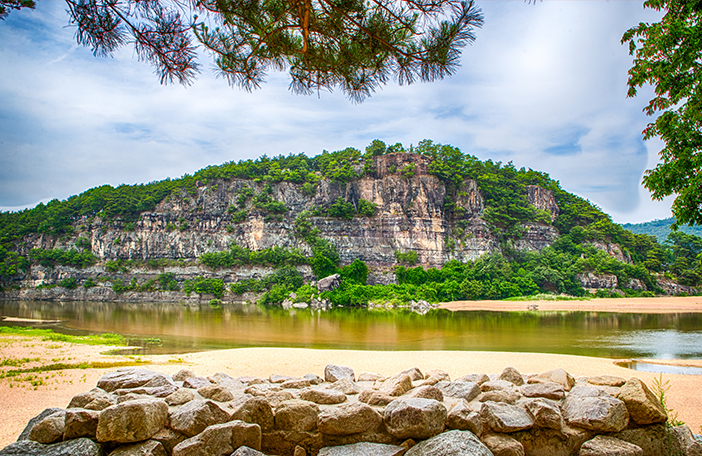 In the Joseon era, scholars would often visit Suseungdae Rock to compose their minds. The rock itself looks like a giant turtle sunning itself beside the clear waters. Bidulginangpokpo Falls in Pocheon featured as the Frozen Valley, where physician Seobi (actress Bae Doona) was finally able to find the Resurrection Plant she had been searching for. It is also here where she realizes everything they thought they knew about the zombies was incorrect. In the drama, the area is said to be filled with fog and ice every, like a year-round winter. 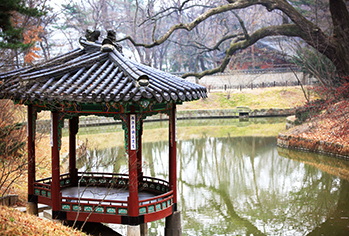 In truth, the area goes through all four seasons like any other place in Korea. 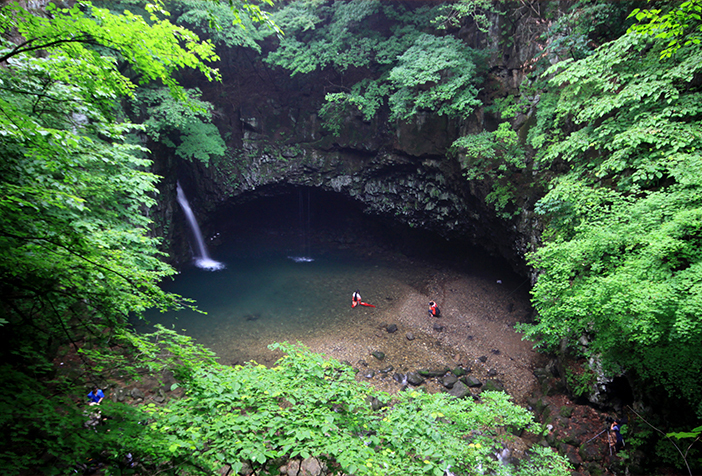 In the past, hundreds of wild pigeons would rest within the sheltered rock cave, giving the falls its name (bidulgi means pigeon in Korean). The falls are located within Hantangang River Geopark, providing easy access; however, visitors should be aware that the area becomes restricted after heavy rainfall.